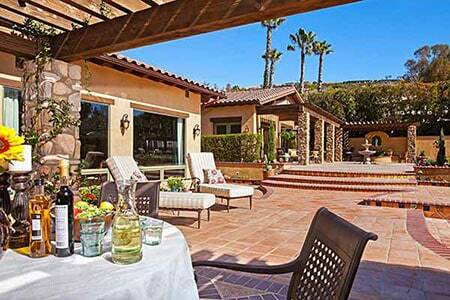 In San Diego, we’re lucky to have a climate that encourages indoor/outdoor living. When you’re planning outdoor remodeling for your whole home remodel, professional designers help you balance visual integration with the design details that make your space unique. Outdoor remodeling that is welcoming and functional creates a natural expansion of your home you can enjoy day or night in any season. How will you most often use your space and which elements are most important? Outdoor remodeling for entertaining large groups will be planned differently than space designed for quiet retreats or small family gatherings. The number of people who will typically congregate in the space determines the ideal size. Our professional designers can help you visualize your dream for your home. Lifestyle questions are essential when you’re working with a professional designer to establish the best layout and space planning for your outdoor living. Starting with the focal point of your space, we help you select the elements that will work best for how you entertain, from kitchens and BBQs to seating areas and smart technology. When you love to entertain, easy navigation between your interior and exterior is essential. While you’ll want a distinct look for your outdoor space, it’s important that it relates visually with your interior. Our professional designers are experts in integrating indoor/outdoor living both visually and functionally. 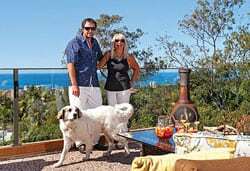 We’re lucky to enjoy more livable days in our outdoor living spaces in San Diego than in many other parts of the world. Still, a smart design includes elements that protect from both rain and intense sun. You’ll also want to plan your outdoor remodeling to accommodate both daytime and nighttime events by considering shade elements, water features, lighting, and heat sources such as an outdoor fireplace or fire pit. Whether your focal point is an outdoor kitchen, a garden, or a deck with a view, choosing a focal point for outdoor remodeling creates a more appealing and welcoming design. Working with a professional designer, you can explore the possibilities for your particular space. Connecting with nature calms the mind and is good for overall health and wellness. Thoughtfully designed outdoor remodeling adds luxurious relaxation and pleasure to your home.